flexibility and mobility with our helicopter services. improve your operation with effective aerial applications. protecting your crops, your land, your investment. Boost your bottom line with the helicopter spraying services from M&D Aerial in Texas, Oklahoma and New Mexico. We are licensed to make nearly any aerial application, but specialize in pasture and rangeland spraying of prickly pear, mesquite, weeds and brush. In order to deliver only the best in aerial applications, they are performed by our owner David George, who is qualified to spray in both airplanes and helicopters. 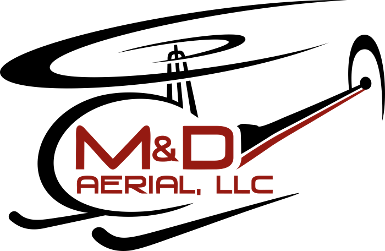 When you hire M&D Aerial, you will be working with David from the very beginning and if your project requires any special care, you can discuss it with him right at the job site. Having an aerial applicator you can trust and speak openly with is extremely important. If there is ever a problem, rest assured that David makes it his first priority to make it right. Our aircraft are equipped with the latest in GPS technology, and our flow controller ensures your liquid applications are right every time. We want to make your operation more profitable, so we pay close attention to every detail, with every job. We are members of the Texas Agriculture Association, the Oklahoma Agriculture Association, the National Agriculture Association, and are a DOW Diamond Applicator.